It was the 17th home run of the night in the major leagues and came just after Detroit's Alex Presley tied the record when he connected at home against Oakland's Daniel Gossett. Alex Gordon of the Kansas City Royals reacts after striking out in the fifth inning during their MLB game against the Toronto Blue Jays at Rogers Centre in Toronto, Canada, on September 19, 2017. The Royals lost 2-5. 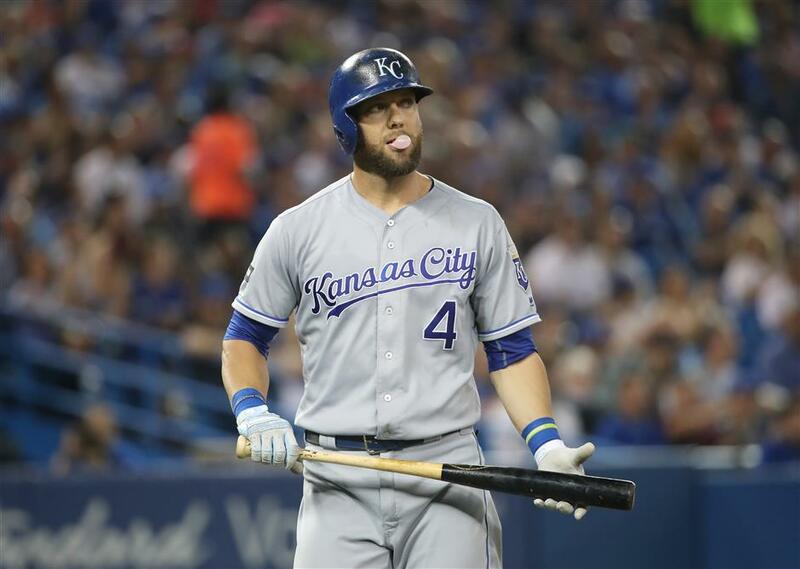 Kansas City's Alex Gordon broke Major League Baseball's season home-run record with 12 days to spare, hitting the 5,694th long ball of 2017 on Tuesday night. Gordon's home run off Toronto reliever Ryan Tepera broke a mark set in 2000 at the height of the Steroids Era. The drive, which drove in the last run in the Royals' 2-5 loss, was his eighth this season and the 159th of his 11-year big league career. "A pretty cool thing to be a part of," Gordon said. "I didn't hit many this year, but I guess I made one count." Gordon said he heard talk of the record on a clubhouse television after Toronto's Darwin Barney homered in the sixth. "I was kind of aware that we were getting close to it," he said. "After I walked back to the dugout. I kind of forgot about it." Holding the ball he hit over the right-field wall, Gordon said he didn't plan to keep the historic memento or anything else from the game. "I'm going to give it to Cooperstown," Gordon said. "I figured they'd probably have much more reason to have it than I do. I don't really want to remember too much about this season, so I'll probably just give it away and let them take care of it." There were 5,610 homers last year, an average of 2.31 per game, and this year's average of 2.53 entering Tuesday's action projects to 6,139. That would be up 47 percent from 4,186 in 2014. "I don't know what to make of it," Royals manager Ned Yost said. "Guys are bigger and guys are stronger. but so are the pitchers. There sure are a lot of home runs being hit." Blue Jays manager John Gibbons has noticed the surge in homers but doesn't have an explanation. "It really looks like the ball is flying," he said. Power subsided after the start of drug testing with penalties in 2004. The home-run average dropped in 2014 to its lowest level since 1992, then started rising during the second half of the 2015 season. "My biggest take on it is that players are trying to hit more home runs," San Francisco manager Bruce Bochy said. "Their philosophy overall, a lot of these position players, is to get the ball in the air and also pull the ball and get the ball in the air and hit it as far as you can. So you're increasing the launch angle, whatever you want to call this, stay away from the groundballs. And so they're sacrificing a little bit more contact to do a little bit more damage." Miami's Giancarlo Stanton leads the major leagues with 55 home runs this year, followed by New York Yankees rookie Aaron Judge with 44. Yost said he doesn't believe more players are swinging for the fences than in years past. "You're always looking to elevate," Yost said. "You're not going to make a whole lot of money hitting the ball on the ground in this league because the defenders are so quick and athletic. You've got to get the ball in the air, I think, if you're going to be successful."